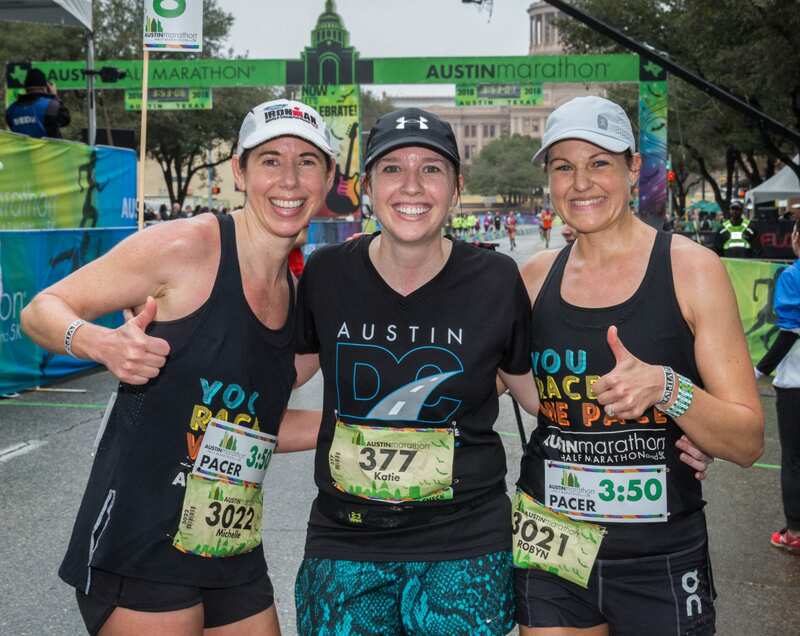 Registration for the 2019 Austin Marathon® presented by Under Armour officially opens on Friday, June 1st. 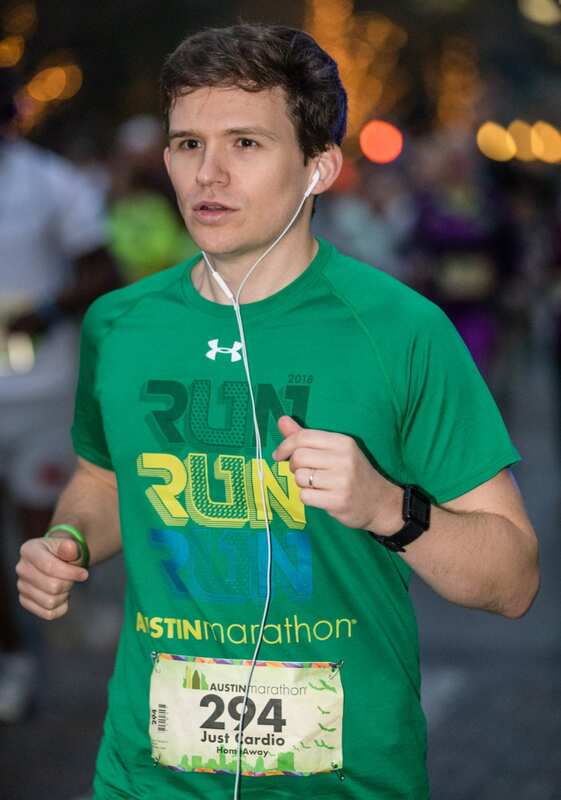 There are numerous perks to participating in Austin’s premier running event. We break down the race weekend perks included with your registration. Just think: tour of Austin, sweet belt buckle medals, live music at every turn, amazing food, beer garden, and so much more. It’s okay to get excited, promise! Half marathoner sports his Under Armour shirt on race day. bragging rights for the rest of your life! 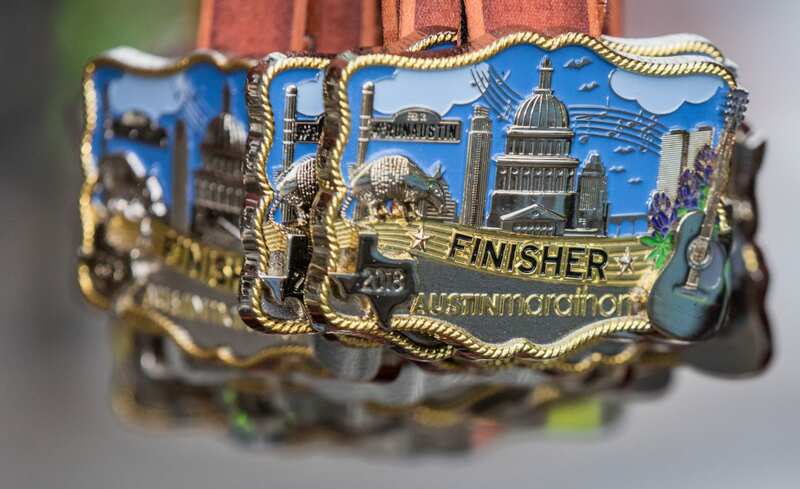 2018 Austin Marathon belt buckle finisher medal. 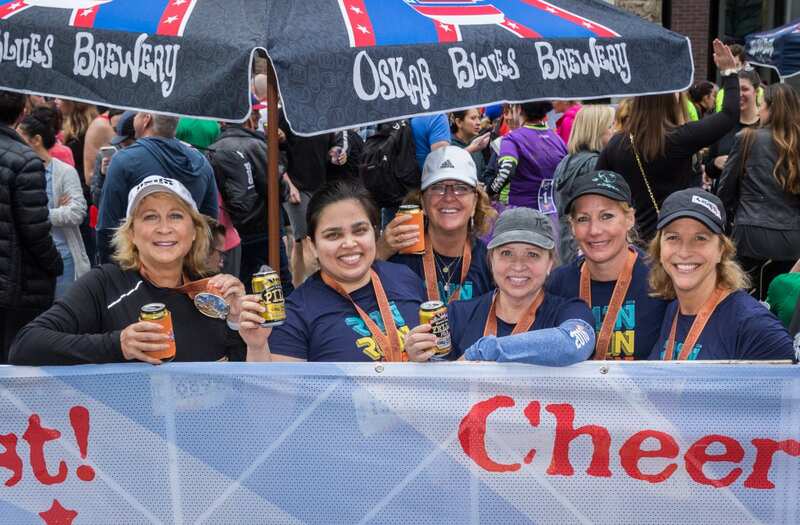 Celebrate post-race with friends and family in the Oskar Blues beer garden. The moment you realize you accomplished so much on the streets of Austin. largest party on Congress Avenue! 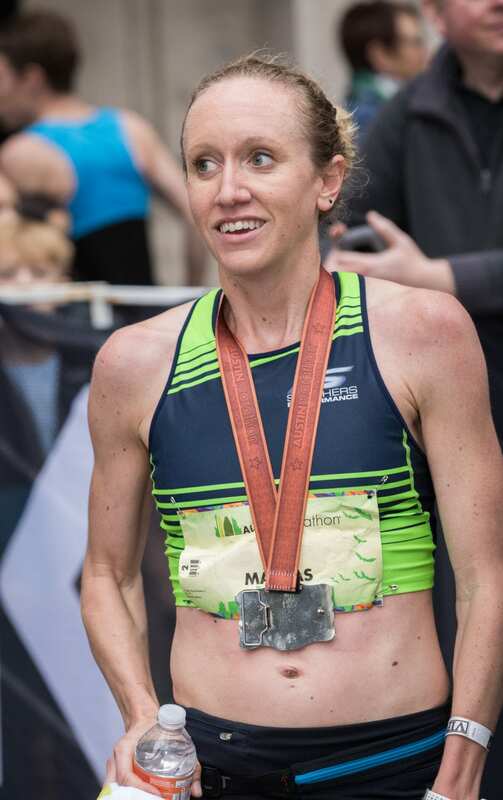 Allison Macsas becomes back-to-back Austin Marathon female champion in 2018. Update on Allison Macsas – I just spent six weeks in Morocco guiding a running trip. I’m also planning my wedding and deciding where to move to and actually move before June! 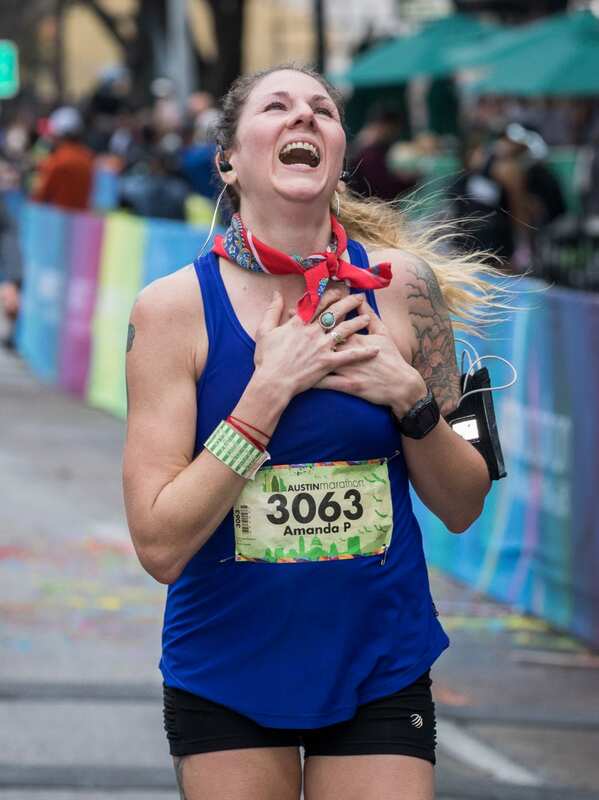 Read her 2018 Austin Marathon recap and watch her post-race interview. I’ve been a mileage junkie since the age of 15 when I was convinced to (reluctantly) join my high school cross country team. That decision has led to a life built around running: a successful collegiate career at the University of Tampa, 2012, 2016, and 2020* Olympic Marathon Trials qualifiers, a coaching position with Rogue Running here in Austin and, most recently, a 2017 and 2018* Austin Marathon win, and an FKT on the 93-mile Wonderland Trail around Mt. Rainier. In 2012, I co-founded Rogue Expeditions, an adventure travel company for runners. I currently balance my training and racing with a packed travel schedule and the demands of running (literally) a small business. This unorthodox approach has worked well for me so far. I’ve run my 10K, half marathon and marathon PRs (34:11, 1:13:02 and 2:39:41) within the past couple of years, all while bouncing between short bouts of structured training and long stretches of guiding and trail running all over the world. 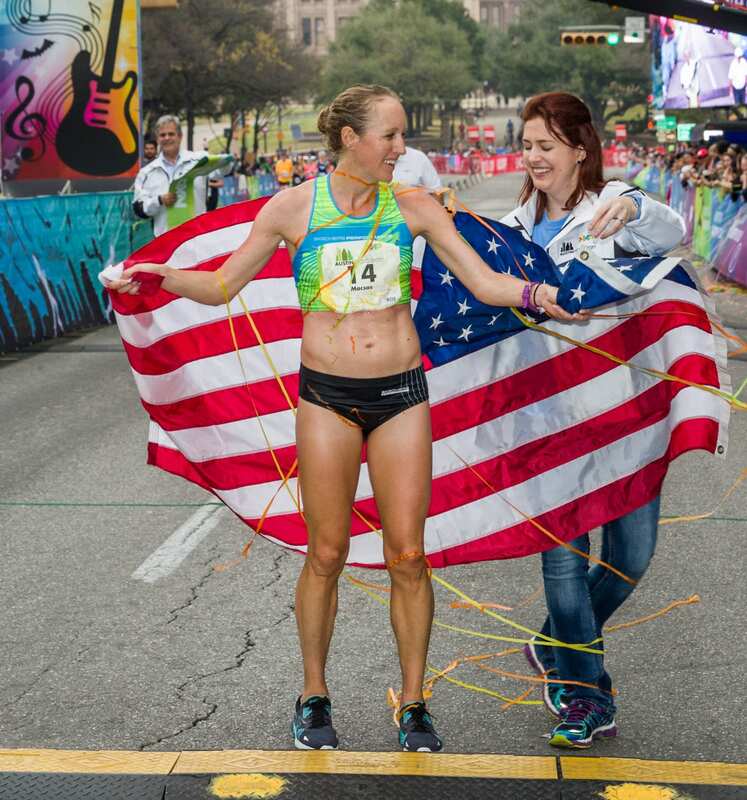 Allison Macsas draped in the American flag after winning the 2017 Austin Marathon. Embrace discomfort! Nothing about running 26.2 miles is comfortable, and any number of things could happen on race day: hot weather, rain, wind, a bad night of sleep, a sour stomach. I think that it’s good to have these things happen in training because it gives you a chance to figure out a solution or an adjustment. Then if something goes wrong on race day, you can deal with it – you’ve done it before. Focus on efforts, not paces. This course is covered in rolling hills, and your pace is naturally going to be faster while descending; you’ll drive yourself crazy if you keep checking your watch! The more important thing to do is to pay attention to how you feel, and make sure that you feel relaxed for the first half – any faster is likely to cause problems in the later miles! I personally like to check my watch in 3-4 mile intervals, to get a more realistic idea of my average pace.